Versatile 70 lb. heavyweight paper with a medium surface texture. * Great tooth for subtle color and shade effects. 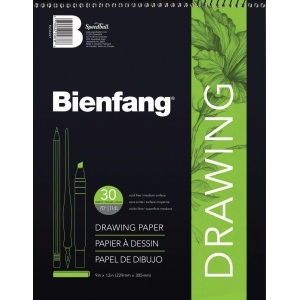 * Excellent with pencil charcoal and pastel very good with markers pen and ink and wet media. * Can also be used for some applications of airbrush and light washes.